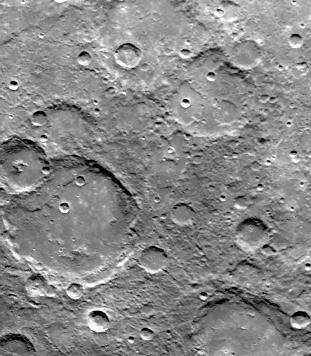 During its second encounter with Mercury on September 21, 1974, Mariner 10 took this picture (FDS 166673) of the planet's South Polar Region from a range of 57,300 kilometers (35,525 miles). The picture covers an area 480 by 370 kilometers (300 by 230 miles) and its center is located at 65 degrees S. latitude and 135 degrees W. longitude. 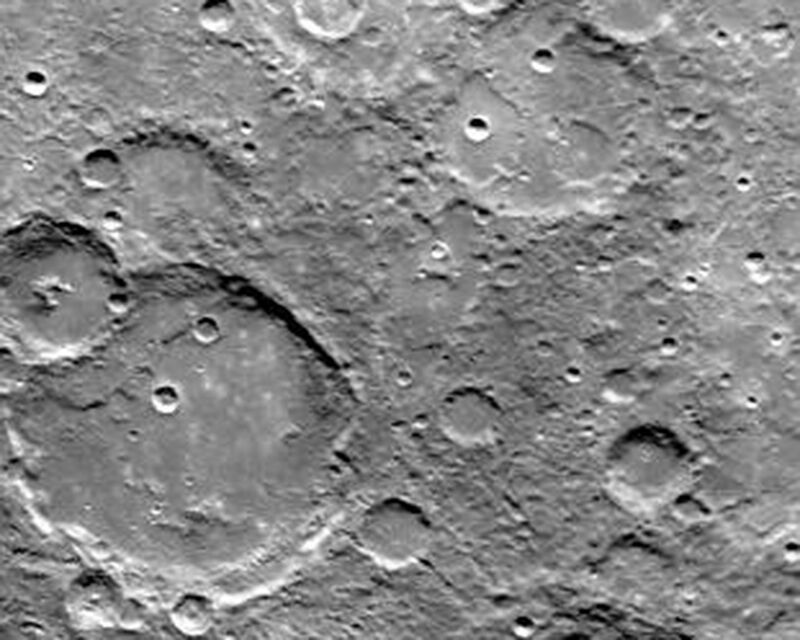 Many of the craters have denuded rims peppered by smaller craters. 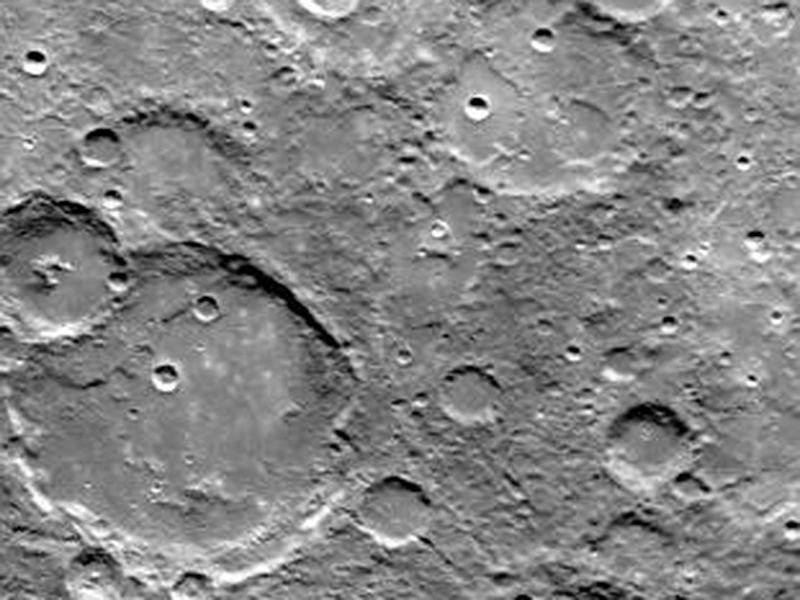 Formation of the young crater at the bottom center caused a debris flow out onto the floor of the large crater. 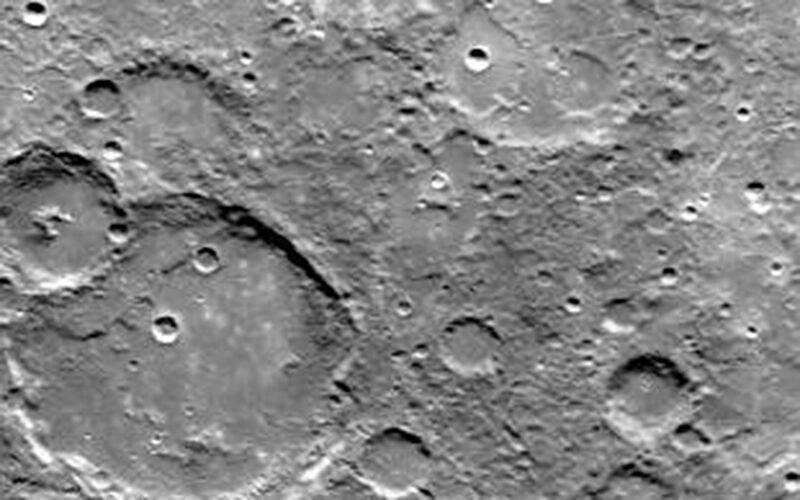 Many small craters cover the inter-crater plains. North is toward the upper left.